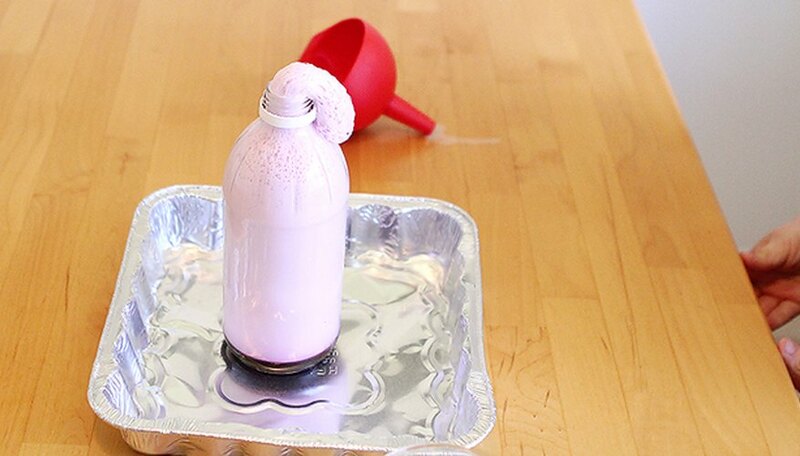 Elephant toothpaste is a classic reaction experiment beloved by science teachers the world over, but you don’t have to wait for your kids to experience it in school. With just a few simple ingredients you can get in on the fun at home. 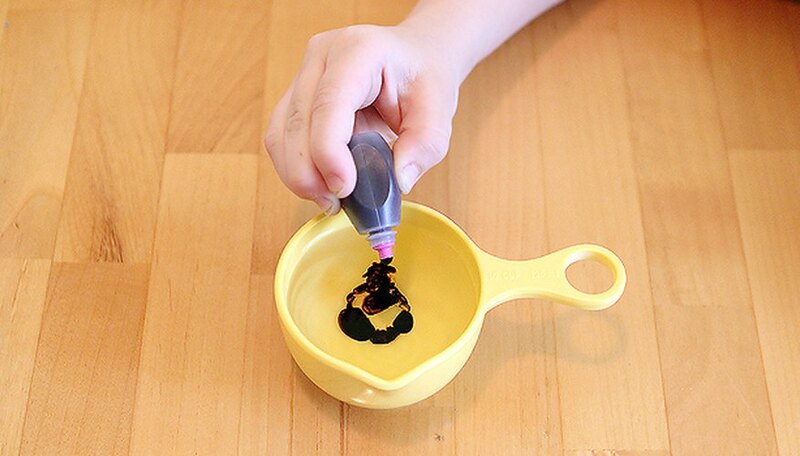 First, add several drop of food coloring to the 1/2 cup of hydrogen peroxide. 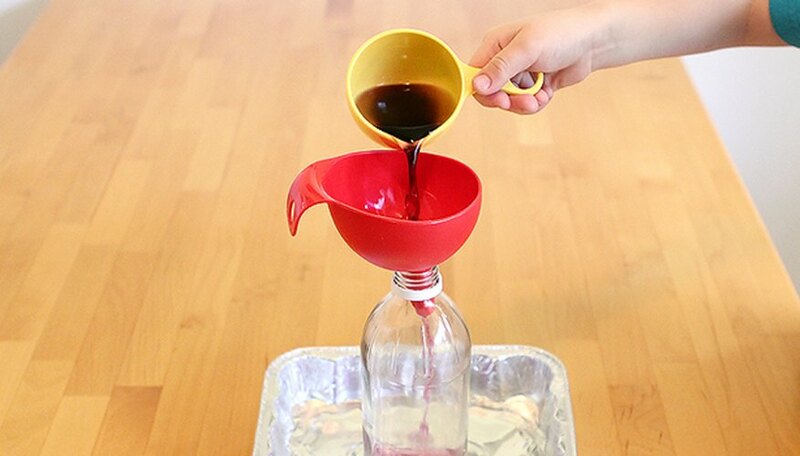 Set up your bottle inside the lipped dish and pour in the hydrogen peroxide mixture using the funnel. Then add a big squirt of dish soap. Next add the teaspoon of yeast to two tablespoons of very warm water and let it dissolve. Finally, add the yeast to the bottle and quickly remove the funnel. The best part about this experiment is that it creates a fairly strong reaction. The result is quite a bit of elephant toothpaste. Essentially this reaction is hydrogen peroxide (a liquid) breaking down into water (also a liquid) and oxygen (a gas). This reaction occurs naturally but is typically very slow and not fun to watch. To make it go faster, we added a catalyst. The yeast contains a catalyst which makes the reaction go much faster. 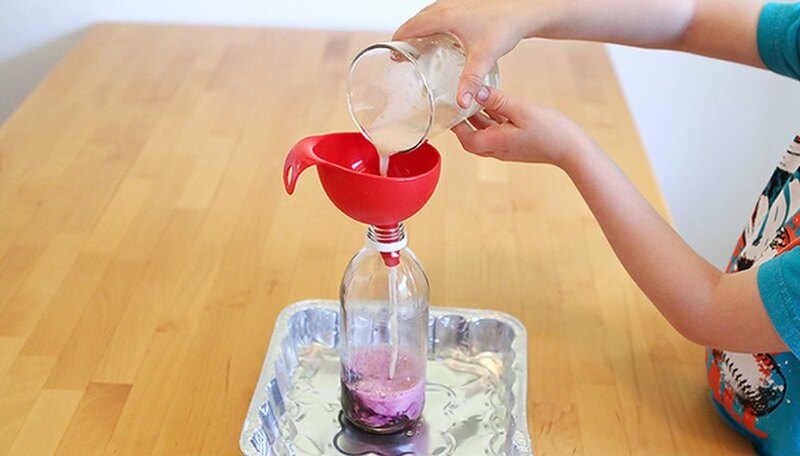 Finally, the added soap traps the oxygen bubbles, which results in lots and lots of foam coming out of the bottle. 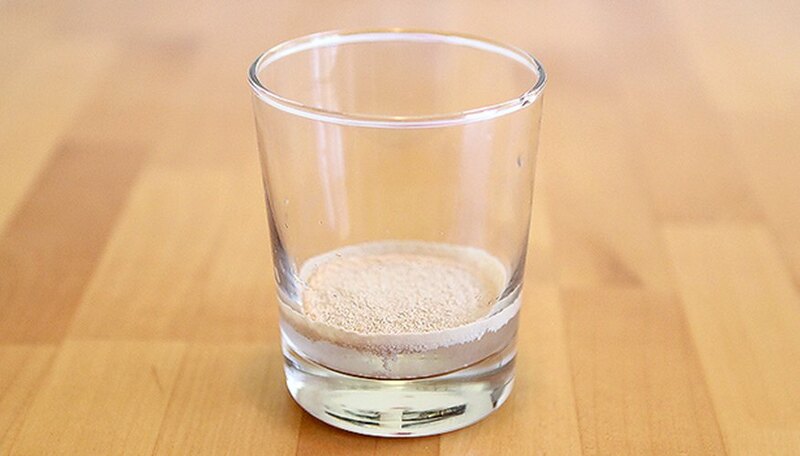 While the hydrogen peroxide breaks apart into water and oxygen and is used up in the reaction, the catalyst does not get used up and can be used over and over again. 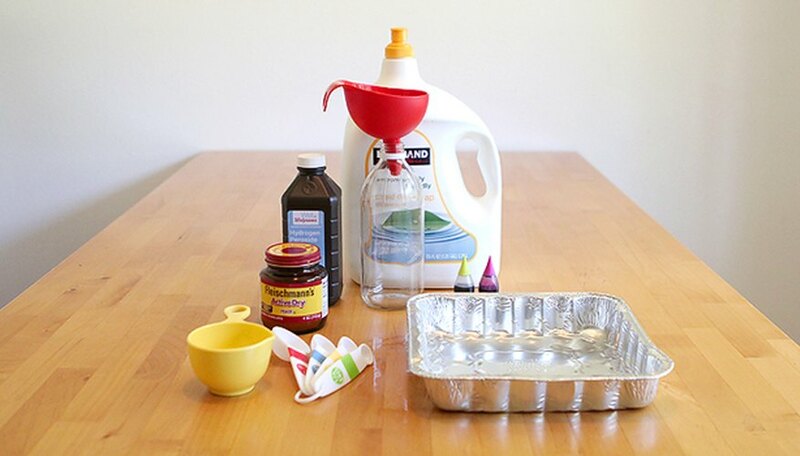 Start out by hypothesizing what will happen if you add new hydrogen peroxide, if you leave out an ingredient, or if you change the ratios. The sky’s the limit from there. Also, the higher the concentration of hydrogen peroxide, the more dramatic your reaction will be. This one was done using standard 3% hydrogen peroxide from the drug store but beauty supply stores carry 6% – 12% variations too. 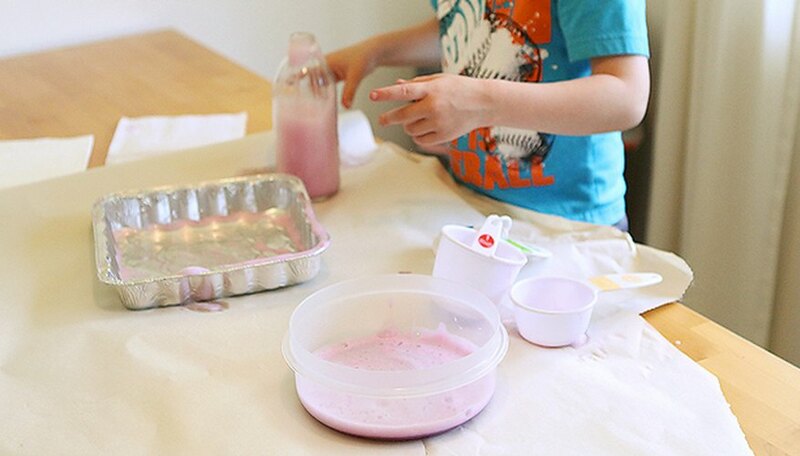 For young kids, you can also turn this part of the activity into sensory play by introducing various containers, utensils and even more ingredients. Morgan, Stephanie. 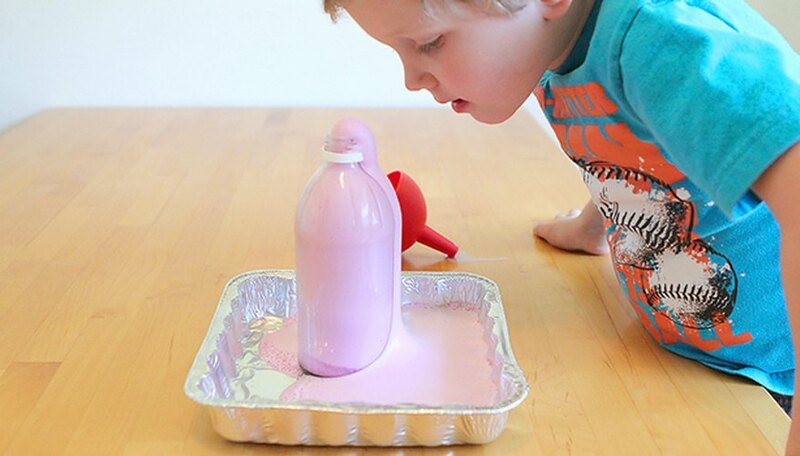 "Classic Science at Home: Elephant Toothpaste." 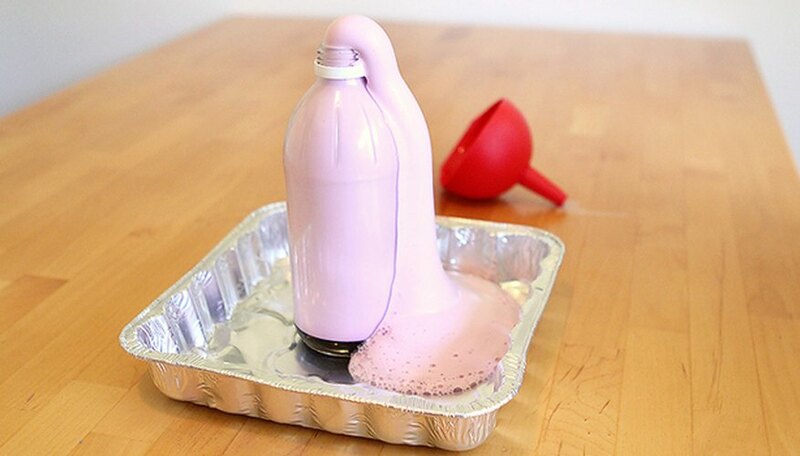 Sciencing, https://sciencing.com/classic-science-at-home-elephant-toothpaste-13557796.html. 17 October 2017.